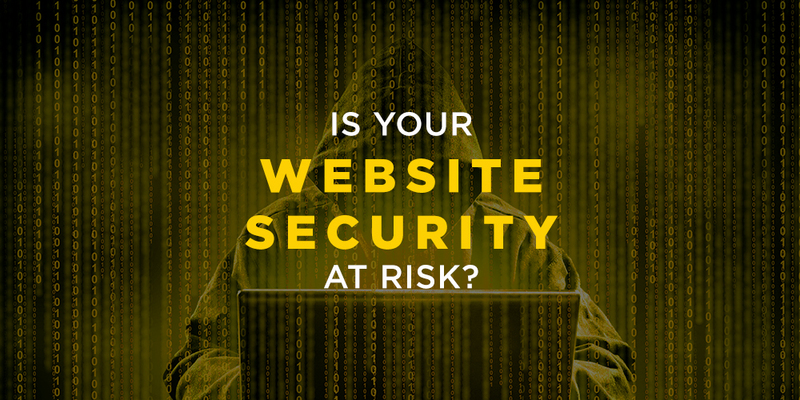 YellowDog Productions | Is Your Website at Risk? We hear these stories from companies all the time – their customers call to inform them their website is down, Google warns visitors their website may have been hacked, and companies get sued when their clients’ information is stolen. But there’s still a tiny part of them that thinks, “this isn’t going to happen to me,” right? We’re going to be straightforward with you – your website security is at risk. Why Do You Need A Security Maintenance Plan? Hackers and malicious internet bots are constantly bombarding your website trying to steal valuable information. With YellowDog Productions’ Security Maintenance Plan, you’ll be assured your site’s core software and plugins stay up-to-date and protected so you can do what’s important to you. Search engines like Google, Yahoo, and Bing are now punishing your website if it has security vulnerabilities by lowering your page rank or not displaying your site at all. It’s hard enough fighting for the top spot on search engines, so don’t let security risks lower your opportunity to be found. Who has free time each week to update website files, troubleshoot a buggy plugin, or make sure your site’s security hasn’t been breached? Why not let us take care of it so you can focus on running your business. You need a trusted team who will monitor vital weekly plugin and theme updates to make sure they don’t harm your site. Keep your website up-to-date and secure with a no-obligation website security evaluation today.